My B230FT engine swap into my '79GT is progressing slowly. I'm not sure about engine mounts. I assumed that the 740 Turbo engine mounts and engine mount brackets would be compatible with the brackets on the GT chassis. This doesn't seem to be the case. Any advice about this and possible solutions would be very much appreciated. You will need to use the standard mounts with solid straight through rubber mounts, unfortunately the 740 fluid mounts can't be used,. Check them regularly, as they get old the solid mounts sag and the turbo can hit the steering column. 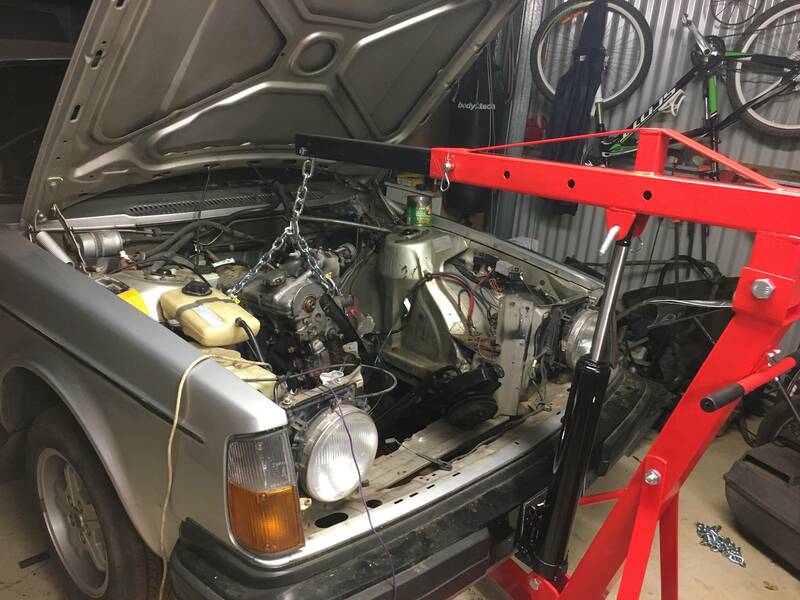 Is that the standard mounts from the B230 GT motor or from the B230FT motor? The 200 series does not share the same mounts with the 7/900. You will need to swap over the brackets from the original gt motor, including the ones that bolt to the block and also the cross member, and the rubber mounts. B230 GT, I'll take photos tommorow of mine and post. Thanks heaps I'd really appreciate that. I'm only up the Pass from you at Moss Vale, might see you on the road one day. Mounts on mine gave threaded rod centred on each side, not offset like some. Seems the solution shouldn't be too difficult at any rate. 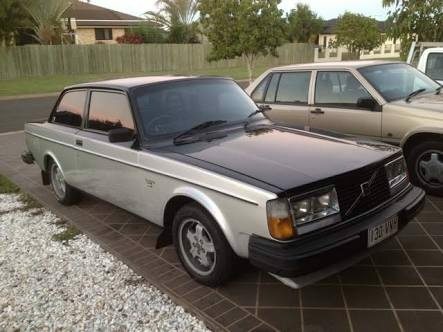 No it's easy really, standard volvo parts, unfortunately the body shell was never designed to be right hand drive turbo in Australia, so keep an eye on the mounts touching steering column after 2/3yrs. Running the M46 overdrive box and standard diff. The donor was an auto. I'd like to swap to a Supra box eventually but that is way down the track. I've fitted the Dellows bell housing and supra box (there are different ratio boxes you can get, I chose the best overdrive ratio for economy). You need to modify the gear box mounting cross member. Dellows also do a tremec bell housing. Also did the 740 Ltd slip diff. Rebiult the suspension about a year ago. I've heard about the Dellows gear and it sounds good. I hope to do what you have done over time. I've had the car for about ten years and hope to have it for many more, modifying along the way. Has the supra box been what you hoped it would be? Had the supra box rebuilt 2yr ago, they're a nice positive notch between gears, I've had mine 30yrs this April, used to supersprint it at Oran Park and hillclimbed it in the 1990's at Wakefield Park. Very nice, the wheels look terrific. I'm hoping to do a bit of amateur motorsport with mine eventually. The last of the 242GT's, there was a small batch painted as in the photo, 264 headlights, R Sport dash. Did you get your mounts sorted? One side rubber puck has offset studs and the other side has aligned studs. Standard 240–issue mounts and brackets. Yes thanks Carnut, I had jumbled up bits from the 740 wagon with 240 bits and had mixed up the engine mounts, it all looks pretty straightforward now. 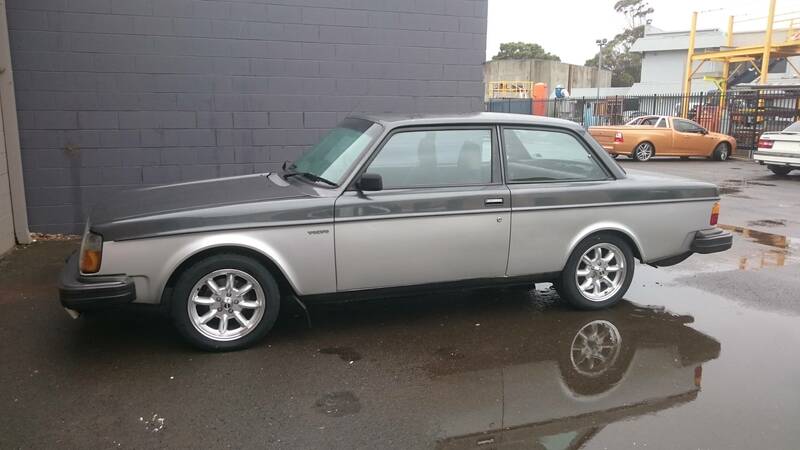 I never knew the late 242s came in two tone, I've seen a few pictures but had assumed they were resprays. It looks to be in terrific condition. Pretty sure that car belonged to a couple of mates (in succession) in the late 1990s. Belonged to Kev Elliot for a while, and the rear quarters were repaired above the wheel arches, if it’s the same car.